Leading Manufacturer of coil springs, custom coil springs, helical coil springs, hot coil spring, precision coil spring and steel coil springs from Howrah. 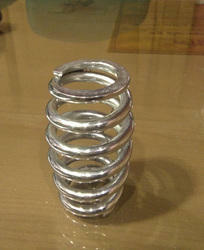 Our range of Coil Springs is also known as helical spring. Basically, these spring are mechanical devices which are used to store energy and accordingly release it. Apart from being used to absorb shock, these are also used to maintain a force between contacting surfaces. Our flaw-less assortment of coil springs provide ultimate resistance to several compressive forces and are selected for displaying high tensile strength and anti-corrosive properties. Solid Height: The solid height of a coil spring is often referred as the length of the spring, when under sufficient load to bring forward all coils into contact with the adjoining coils and extra load which causes no further deflection. Solid height must be described by the clients as a maximum, with the potential and real number of coils in the spring to be ascertained by the spring manufacturer. 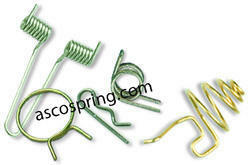 Compression Spring Ends: There are four basic types of compression spring ends as shown above. The particular type of ends specified affect the pitch, solid height, number of active and total coils, free length and seating characteristics of the spring. Squareness of Ends, Grinding, and Degree of Bearing: The squareness of compression spring ends influences the manner in which the axial force produced by the spring can be transferred to adjacent parts in a mechanism. There are some types of applications where open ends may be entirely suitable. We offer an extensive range of Custom Coil Springs, which is available great experience & these products huge production capacity to our works. Custom Coil Springs are manufactured using round wire wrapped in cylindrical shape with a constant pitch between the coils and is known for its heavy load bearing capacity. Our products are provided with the material section of various types such as round, square, rectangular taper, flat and many more. Out side dia. 10 mm upto 500 mm. We feel proud to offer clients a range of Helical Coil Springs, which are utilized in various industrial applications. Made from superior grade metals using sophisticated technology. 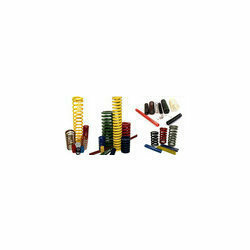 We offer our range of coil springs in different sizes ranging and dimensional specifications. Asco a leading exporter and manufacturer of Hot Coil Springs. These are helical in shape and possess an open coil. 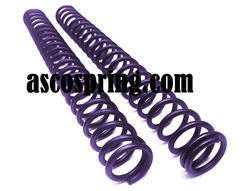 Asco manufactured springs provide good resistance to linear compressing forces and these are among elements which efficiently store momentous amounts of mechanical energy in them. ASCO feel proud to offer clients a range of Precision Springs, which are utilized in various industrial applications. Made from superior grade metals using sophisticated technology. ASCO offer our range of coil springs in different sizes ranging and dimensional specifications. Backed by our efficient workforce, we are able to offer our clients. Steel Coil Springs that is available in various specifications as desired by the clients. These precision-engineered springs are procured from the certified vendors of the market to ensure durability and quality. Further, our range find wide applications in various industries like automobile, automotive, chemical, pharmaceutical and textile. Hot Coil Springs are generally used in elevated temperatures high load applications in a corrosive environment. The transportation industry agriculture implement manufacturers and construction equipments manufacturers are some of the largest users of the hot coiled springs. We can manufacturer hot coiled springs upto 92mm or 3.62 inch wire diameter and OD 450 mm or 17 inches. In a short span of time, we have become one of the leading automotive coil springs suppliers of our domain. We offer a dimensionally accurate assortment of Automotive Coil Springs which can be customized as per the client's requirement. These automotive coil springs are of superior quality and are widely utilized in a trampoline as well as circuit breakers. We are engaged in fabricating and supplying a comprehensive array of Custom Coil Springs. We make use of high grade raw materials to manufacture our range of products. Our offered Custom Coil Springs are widely utilized by agricultural implement manufacturers and construction equipment builders along with transport industry. Our range of products are designed and fabricated keeping in mind all the prevailing industry standards. The gap between the successive coils is sufficient-enough. Made of round wire, it is further wrapped in cylindrical shape with is considered to be a constant pitch between the coils. By applying the load the spring contracts in action. 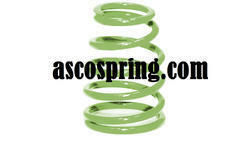 Asco offer a comprehensive range of Flat Coil Springs which is known its superior quality and cost effective prices. These are widely used to keep restricted space conditions in various products such as switches and relays dies. Asco products are available in various specifications of sizes, shapes dimensions and can also be customized as per the client’s specifications. 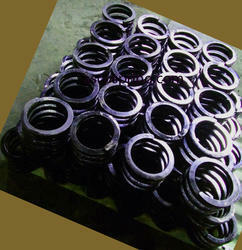 We are a leading exporter and manufacturer of Industrial Coil Springs. These are helical in shape and possess an open coil. 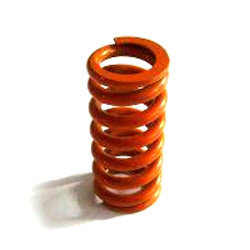 Our manufactured springs provide good resistance to linear compressing forces and these are among elements which efficiently store momentous amounts of mechanical energy in them. 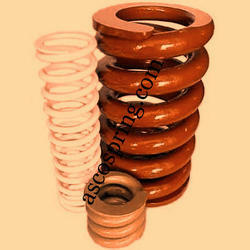 Asco manufacturer, supplier and exporter a qualitative range of Coil Springs. Coil springs are precisely engineered using latest machinery at our well-equipped infrastructure. 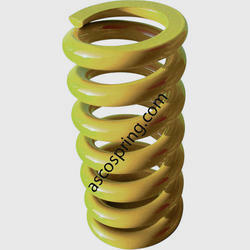 Asco offer these Coil Springs various types of material sections like flat, square, round and rectangular taper.